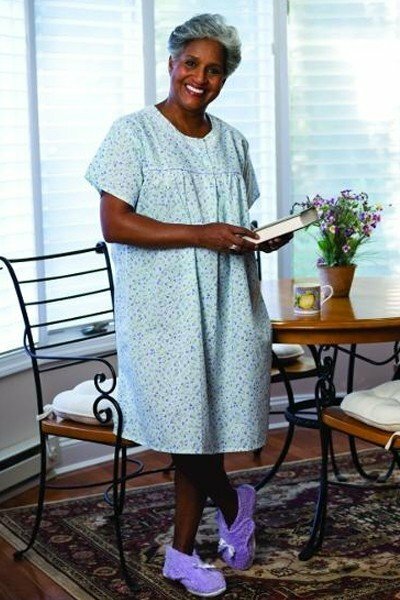 Sleep in comfort in this non-constricting, breezy nightgown. Just slip this short sleeve gown over your head and you will be cool and relaxed. Cotton / polyester blend. Waltz lenhgt. Assorted muted florals and prints.